Dubrovnik traveler's guide that includes smart recommendations for the restaurants, shopping places, attractions, activities and accommodation options. If you want to spend magnificent time in the most beautiful place in Croatia, you should visit Dubrovnik, then. This city was always in the center of attention as a travel destination. In the past, traders on old vessels came from all over the world bringing all kinds of goods to the famous Dubrovnik Trade Market. You could buy cashmere and silk, papers and various kinds of fruits and vegetables there. Today, the situation is a little different. Amazing and monumental cruise ships from all around the world are coming to the port, bringing thousand and thousand of visitors to see the pearl of Croatia. According to the legend the city was founded in the vicinity of ancient Ragusium. This small town was named after a sort of oaks - Dubrave. Although it was in use from the Middle Age, in the year 1918 name Dubrovnik was officially adopted. Today, we consider Dubrovnik as a matchless touristic place in Croatia. Citizens of Dubrovnik, which is about 42.500, are wonderful hosts and very generous people, willing to help you in any way. You will be surprised how magnificent is to be in a town that is rich in historical, cultural and architectural heritage combined with a modern culture when you are in this fascinating city. Dubrovnik is situated on the east coast of Adriatic sea in Neretva County. If you are coming to Dubrovnik by plane, you can use public transportation- bus to get to the heart of the township. The trip last for approximately 15 minutes. Taking a cab are your other option. For those who are coming to town by a car, you will have to follow the traffic signs. Bear in mind that the speed limit is between 50-90 kilometers per hour on roads and 130 km on highways. For sightseeing in Dubrovnik you can start with a promenade at Stradun. Walking down the Stradun, the main street in the city, you will feel the real spirit of this city. On your way to Sponza Palace, most beautiful architectural building in Dubrovnik, you will pass by Orlando’s Column, a symbol of the city's freedom. Besides, you will want to see Old bell tower Luza built in 15 century, the City Council Palace, as well as Great and Small Onofrio Fountain, Fort of St. John and Fort of St. Lawrence. City Walls are yet another remarkable parts of Dubrovnik. They provide you the best way to get a sense of Old Town by walking its thick fortification walls, which are at some points about 80 feet high. Dubrovnik offers enormous number of souvenirs. You can buy a replica of City Walls, Orlando’s Column as well as a replica of the Fort of St. Lawrence. As well, you can buy wine Malvasija, rakija, fig jam and sweet almonds. Besides, you can always buy hats, t-shirts, key-rings and mugs with the emblem of the city. Dubrovnik’s cuisine is another part of the story. You will absolutely be amazed with wonderful grilled tuna fillet and Stone Oysters. Restaurants and coffee bars are very attractive in the center of Dubrovnik and if you turn around the corner in the small alleys you can find nice and cozy restaurants. Nightlife is very lively, especially in summer. In winter, you can welcome New Year in Stradun. If you want to enhance your holiday in Dubrovnik, book a half day or one day excursion to the Island of Love- Lokrum, wine-growing area Peljesac or to the National Park Mljet. Only 600 meters away from the city, Island Lokrum is considered as a part of Elaphity archipelago. On this island Richard, the Lion-Heart spent some time. According to the legend, he was cast ashore here after being shipwrecked in 1192 . Here you can visit Fort Royal Castle, The former Benedictine Monastery, as well as a place where all sorts of Mediterranean flora grow – Botanical Garden. Pelsejac, a peninsula in Dalmatia, only 40 minutes away from city Dubrovnik, offers an unforgettable pleasure in monumental surroundings. Here is a home of Malvasija – famous Croatian white wine. Visit wine-cellar and enjoy the tasteful wines. The National Park Mljet has rich cultural and historical heritage and it is well known by the stories of Homer's Odyssey. Also, you can visit Odysseus cave and the village Babino Polje. A stunning nature and the deep history makes Dubrovnik a unrivalled place for international events when blended with its cultural richness. 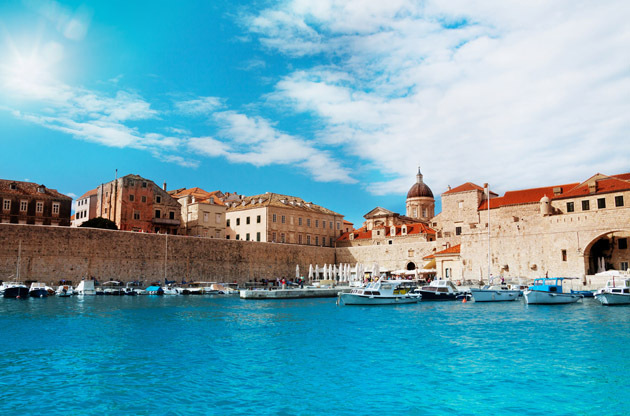 Every year, a great amount of attendees come to Dubrovnik for prominent worldwide events like the conferences, congresses, trade shows, fairs, exhibitions, symposiums and many more.